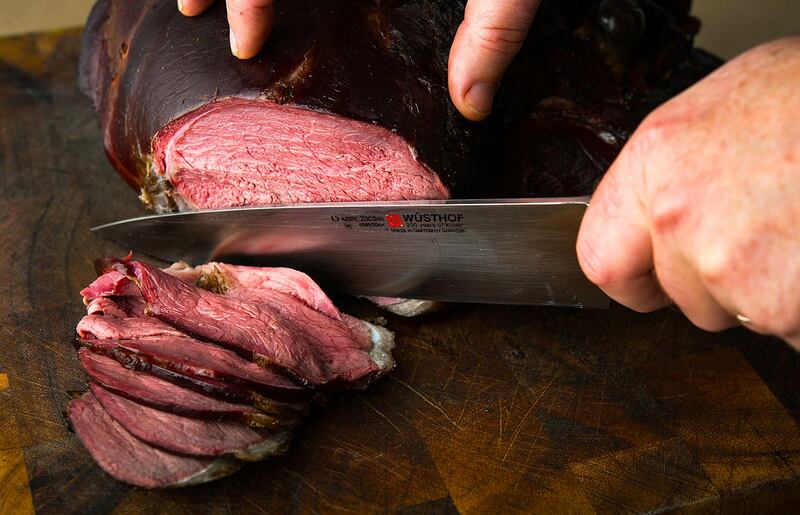 If you’re looking for how to cook a leg of venison, or a venison rump or other large roast, you’ve come to the right place. 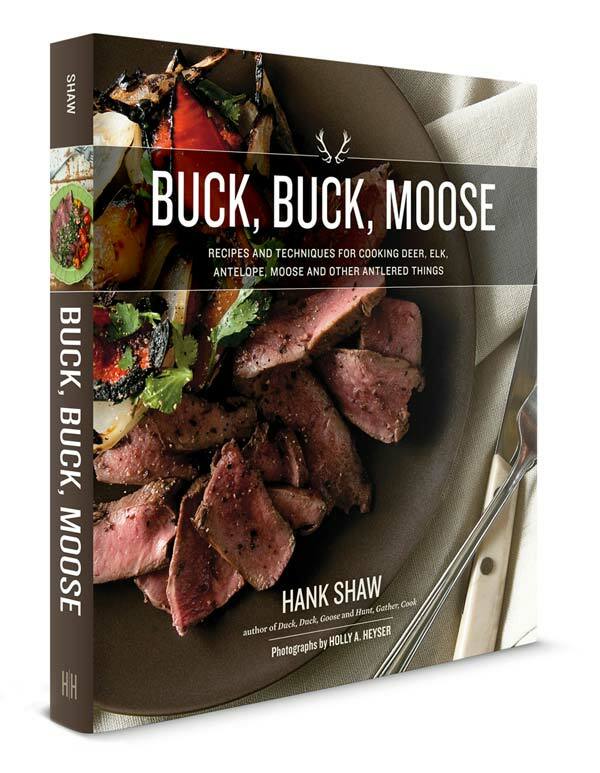 These recipes that follow are for the large cuts you’ll get from the legs of a deer or elk or moose or whatever. 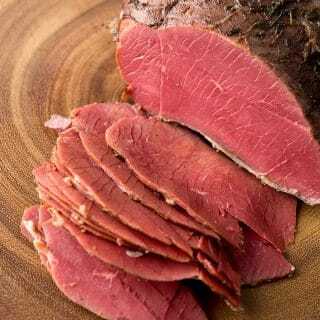 You can also substitute beef or lamb roasts here if you’d like. 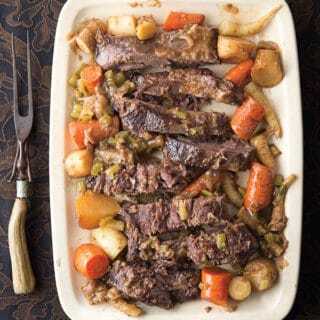 Most of these recipes work with any animal, although a few require a small, young deer or antelope, and some a large roast from an elk or moose. 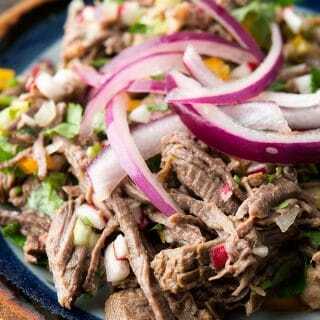 Many of these recipes can be cooked in a Dutch oven or slow cooker. Others need fire or at least a hot oven. In general, how you cook a leg of venison depends on the leg — and the animal. A shoulder roast or a neck roast needs to be cooked like a pot roast. Definitely slow cooker or Dutch oven. Slow and low, then pull the meat apart, ideally off the bones. Hind leg deer roasts need to be hot and fast: You want them cooked medium-rare. Another rule for cooking deer roasts: The younger the animal, the more tender it will be, and the less you need to cook it. One of my bedrock recipes, I do this with every deer I kill. It makes an amazing dinner with sauerkraut and even better sandwiches. 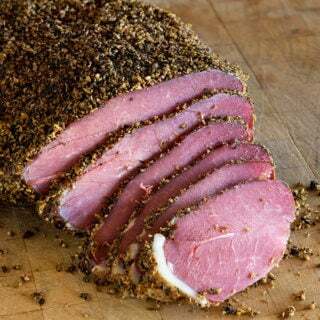 Similar to corned venison, with pastrami you coat the meat in spices and then smoke it. My favorite sandwich meat. The hind leg of a deer or antelope smoked just until the interior hits medium-rare. So good. So easy. 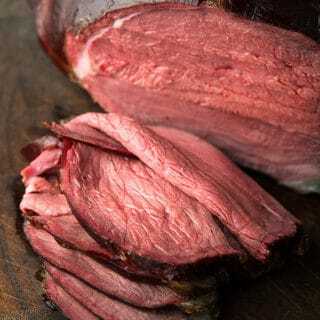 A whole roasted leg of venison – do this only with small or young deer – served with Bavarian bread dumplings. A neck or shoulder roast slow cooked with a Polish flair: Root vegetables, a little wine, a little tomato. 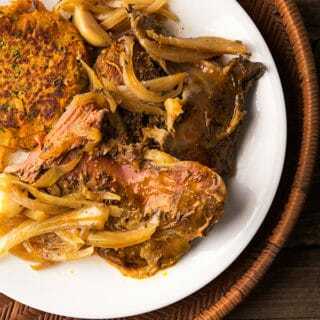 A whole shoulder of deer or antelope, slow cooked and served with onions and a touch of curry. 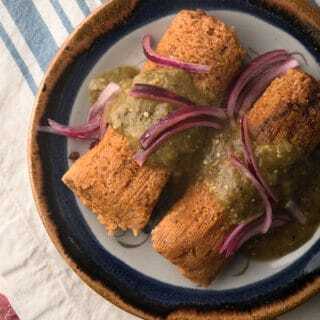 Classic tamales norteño made with braised venison shoulder, a recipe from a friend from Nuevo Leon. 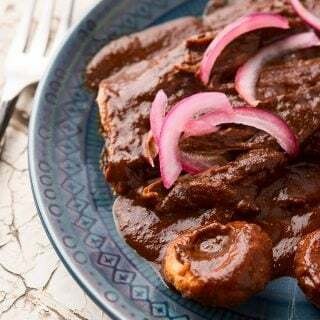 A rich, complex-tasting Oaxacan mole sauce served with slow-braised venison shoulder, shank or neck. You can do it with hind leg roasts, too, but it’s not as good. 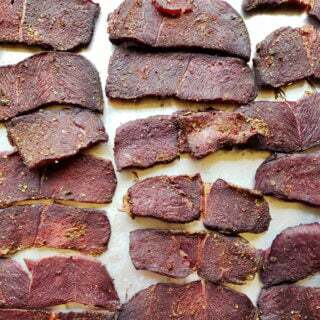 I love this recipe for front legs of venison. Bone in or out, the meat slowly breaks down until you can shred it. Mixed with Mexican flavors, it’s a sure winner. 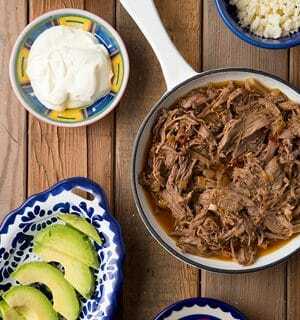 This is a lighter and spicier version of barbacoa, a specialty of the Yucatan in tropical Mexico. It’s perfect for warm weather suppers and can be done in a crockpot. If you prefer to marinate your venison kebabs, use this recipe. 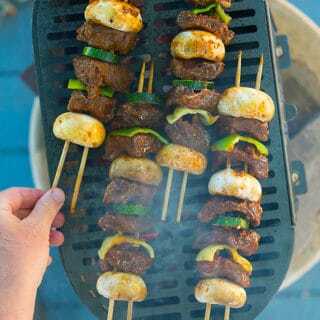 This uses a spicy North African harissa marinade, but you can use any marinade successfully if you follow the general directions for cooking the kebabs. A dish from Ancient Rome. The venison is lightly cured, then roasted with lots of herbs. 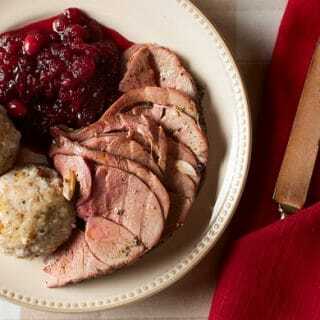 Venison Sauerbraten (hosted on Simply Recipes) A German classic, in this recipe you cook the venison slow and low and serve it with a rich sauce zipped up with ginger snap cookies. Explore recipes, tips and techniques for other parts of the deer right here on Hunter Angler Gardener Cook!